Here’s a great activity, that can be used in three different ways, to best suit the needs of your classroom or homeschool. 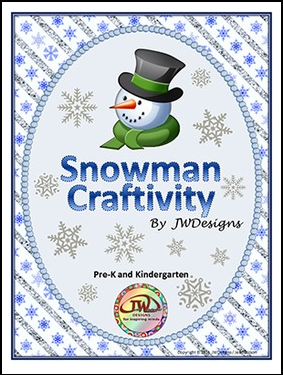 You can use it as a cut and paste activity, as a coloring/craft activity, or laminate and use it as a snowman building and following directions activity. Included is an adorable snowman activity sheet, different accessories to dress him in, carrot noses, coal mouths and buttons for his belly. I hope you and your kiddos enjoy this freebie!